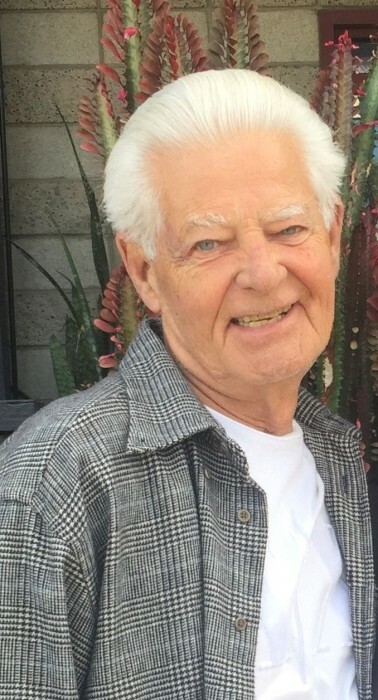 Richard Megna, 76, died peacefully in his sleep on August 17, 2018 at his home in Murrieta, California. His funeral service will be held this Friday, August 24, 2018 at Evans-Brown Mortuary in Menifee, California. Richard was born February 28, 1942 in Chicago, Illinois to Paul and Jean Megna. He attended Long Beach Polytechnic High School in California and graduated from Long Beach City College with an Associate’s degree in business. He served in the Army where he was stationed at Fort Ord, among other places, prior to receiving an honorable discharge. Richard had a successful career in the family car dealer business and later as an insurance broker. He was an avid golfer who enjoyed the warm desert sun and liked to occasionally challenge the local casino to hold on to their money. He enjoyed spending time with his family and will be missed dearly. Richard is survived by his wife of 43 years, Cinde as well as his sons Scott and John, his granddaughters Chanel, Sofia, and Ava, his sister Pauletta Smith and his brother James Megna.